Rachael Ray Cucina 4-Piece Bakeware Set Latte Brown ONLY $36.71 + FREE Shipping (WAS $80)! 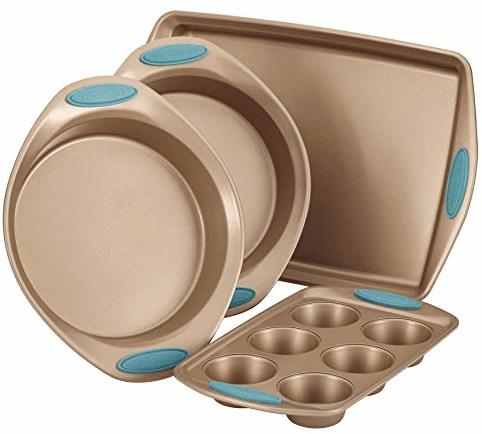 You are here: Home / Great Deals / Amazon Deals / Rachael Ray Cucina 4-Piece Bakeware Set Latte Brown ONLY $36.71 + FREE Shipping (WAS $80)! How pretty is this set!? I love the colors! Even better, we can snag this Rachael Ray Cucina 4-Piece Bakeware Set Latte Brown for ONLY $36.71 + FREE Shipping (WAS $80)!